*One of the most crucial despatches from the mighty Hospital Productions yet* Hospital Productions present a digital edition for one of the most affective industrial/ambient collections in their catalogue, and one of the label's most sought-after. 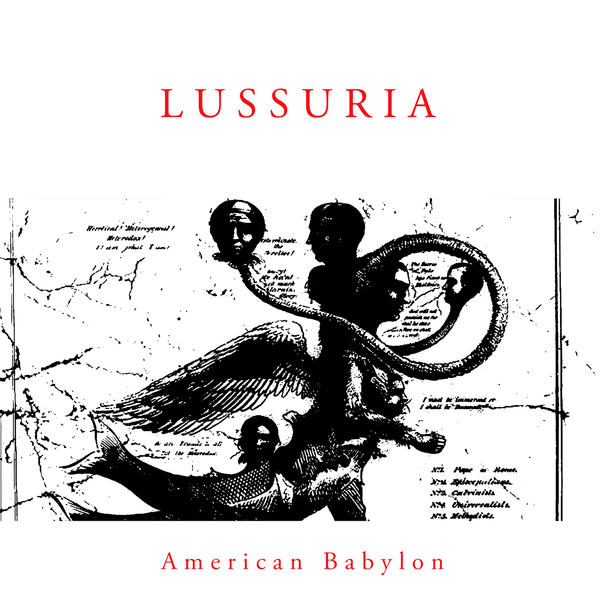 Over the course of three cassettes (limited to just 99 copies) issued in 2012, Lussuria ("Lust" in Italian) drip fed these eight tracks of opiated, phantasmic SM atmospheres into the musical bloodstream, duly hailed by many as one of the most crucial set of tracks released that year. Reflecting the ritualistic appeal of late '70s and early '80s Italian industrial à la Cicciolina Holocaust, Sermonizer or MB, crossed with the epic claustrophobia of early material from the Cure and the decadent, voyeuristic compulsion of Pasolini flicks so enamoured by Coil, the enigmatic Lussuria has conceived nothing short of a dark ambient masterpiece for our times. It's a De Quincey or De Sade-like meditation on a perceived American condition that percolates far beyond its borders, matching the militant oppression of Vatican Shadow with martial pomp of opener 'Keys To Unlock Paradise (Roman Showers)' and the cold-sweating tension of 'Queen Of Swords Reversed', while ambient interzones such as 'Viper Room Vigil' and 'Mondo Narcotico' relieve the suppression effectively as a loosened tourniquet. In his role as the Dark Interpreter, Lussuria acts as informant from the netherworld relaying the eschatological drone vision of 'Under' and the backmasked Bacchanalia of 'Coiled Serpent Shedding' to fanged ears on the other side, culminating with two furtive dispatches in the coruscating half-light of 'Nicotine Incense Trepan Redux', and the uncannily poignant video-diary entry set to numbed pads and raging black metal noise inferno that closes 'American Babylon'. So many attempt this sound, yet it's putative pleasures remain just out of grasp to most. Not so with Lussuria.